A comprehensive estate plan often includes writing a last will and testament to transfer your assets to your beneficiaries. Once you’ve passed away, the executor of your will shepherds the will through the probate process. However, you may have things you’d like to communicate to your loved ones and beneficiaries that you don’t want to include in the will itself. Often, these are informal instructions that will help your executor carry out your wishes. It might also include such informal elements as opinions about your funeral, the values you’d like to be remembered for or just a sentimental message to loved ones. Also known as a letter of intent, a letter of instruction is a document that provides specific information regarding your preferences on anything from medical care to your funeral to the distribution of your assets and property. A letter of instruction isn’t legally binding in any way, unlike a last will. Rather, it’s meant to be something of a crib sheet for the executor of your will or your loved ones. You can use plain English to communicate anything you want regarding the management of your affairs. 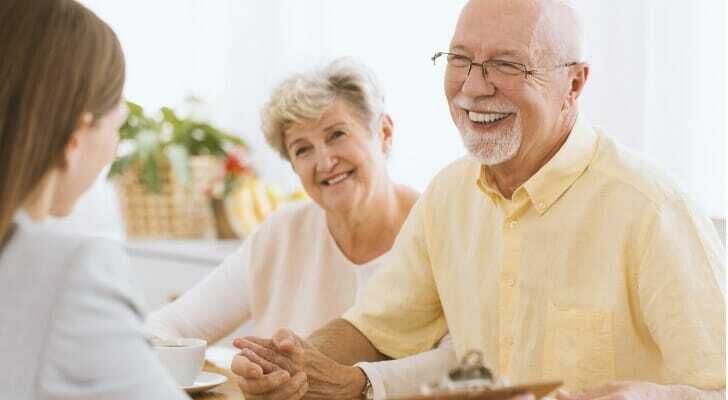 Because there is no legal aspect to this document, you are free to also include messages to your family if you wish, and you can touch on matters that you may not be able to include in something like a will or an advance directive. What Should You Include in Your Letter of Instruction? Similarly, where your executor can find any real estate titles/deeds or oil and gas leases, etc. From there, you can include any messages or additional preferences that come to you. Some people choose to include a preference for burial or cremation. You might even mention which songs you’d like played at the funeral. Although a letter of instruction and a last will discuss similar topics, they are distinct documents with several differences. First and foremost, a letter of instruction isn’t a legal document, while a last will has legal force. State law requires that your executor or administrator follow the terms of your will, whereas no one is required to follow your letter of instruction. Because of this distinction, a letter of instruction can be much more flexible. You’re essentially just writing a message to an executor or a loved one with helpful information. This is why you can choose to include anything you want. You can also use plain language in a letter of instruction. In a last will, you’ll need to write in a more formal style. This is because each state and even some counties have regulations dictating the format of a last will. If you don’t meet those regulations, then your will may not be enforceable. Since your letter of instruction would never be enforceable in the first place, you don’t have to worry about adhering to anyone else’s formatting. A letter of instruction can’t take the place of a last will. If you pass away without a will, but you compose a letter of instruction, a court-appointed administrator will distribute your possessions according to state and county law rather than your letter. You can, however, state in your will that your executor is to follow the terms of your letter of instruction. While it can’t serve as a substitute for a last will, a letter of instruction can be extremely helpful to your loved ones. You can spell your wishes out in simple terms, and you can leave them a final message without the formality that comes with a legal document. With a letter of instruction, you can impart any miscellaneous preference, message or set of values that you hadn’t done anywhere else. That way, you can feel confident that your estate planning strategy is airtight. When it comes to planning your own estate, it’s easy to get in over your head. That’s why consulting with a financial advisor can be a huge help. SmartAsset’s free financial advisor matching tool can connect you with up to three qualified financial advisors in your area. A financial advisor can build you a financial plan and invest your assets so you have plenty to pass on to your heirs. Before you worry about your estate, make sure you’ve set yourself up for a comfortable and secure retirement. Our retirement calculator will show you whether you’re on pace to save enough to meet your retirement income needs. The post Writing a Letter of Instruction for Your Estate Plan appeared first on SmartAsset Blog.